Love this! And, it’s okay to talk to bits of paper. It’s not crazy. Because if it is, then I must be! Good for you, Kate! Lol! 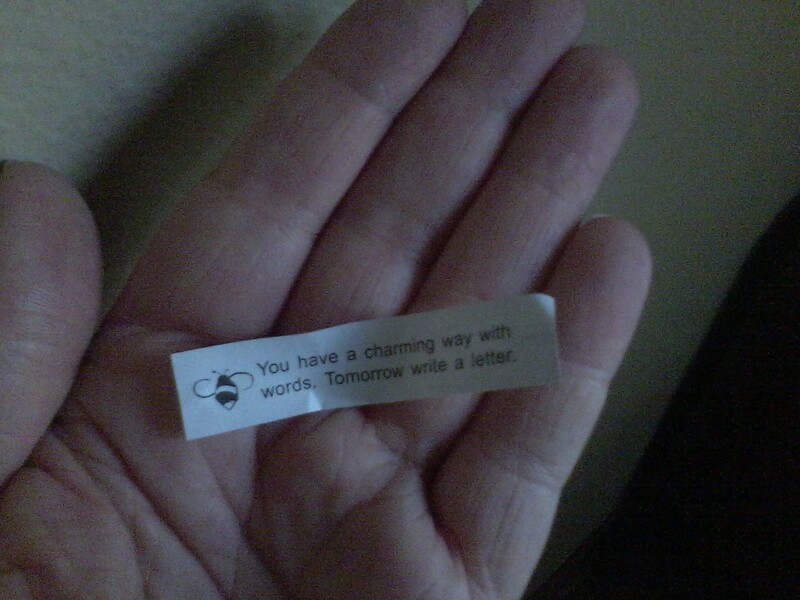 I do think that brand of fortune cookie is kind of bossy.